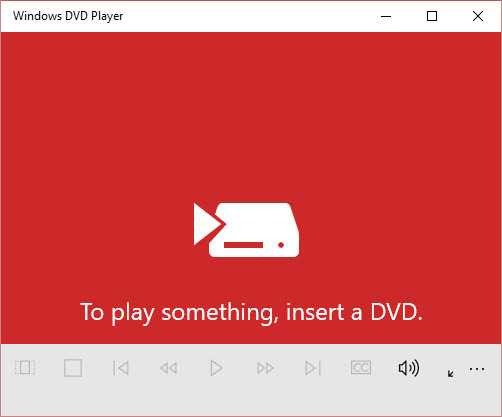 "While Windows Media Center is not part of Windows 10, we are providing a free DVD playback app7 in Windows 10 called Windows DVD Player that will be installed after the first Windows Update. 7 If you have Windows 7 Home Premium, Windows 7 Professional, Windows 7 Ultimate, Windows 8 Pro with Media Center, or Windows 8.1 Pro with Media Center and you install Windows 10, Windows Media Center will be removed. For a limited time (the “eligible period”), on systems upgraded to Windows 10 from one of these older versions of Windows (a “qualified system”), a DVD playback app (“Windows DVD Player”) will be installed. Note: the Windows DVD Player may not be installed immediately; it will be installed after the first successful Windows Update. The Windows DVD Player will be available for purchase from the Window Store for systems that (i) are qualified systems but the eligible period lapsed; (ii) are non-qualified systems; or (iii) were qualified systems but Windows 10 was subsequently clean installed (in this case, Windows Update cannot detect that it was previously a qualified system)." The only function of WMC I don't use or need, is the one they choose to replace the useful parts. "While the launch of Windows 10 got mostly good reviews from the media and the general public, most did mention that the operating system still has some bugs. Microsoft is reportedly planning to release a bigger update very soon that will deal with at least some of these issues. According to The Verge, the update has the label 'Service Release 1' (SR1) and will be released to Windows 10 users sometime in early August, and perhaps as soon as next week. Again, SR1 won't add any new features; it will simply try to stamp out some of the bugs that have been discovered in Windows 10. The story adds that Microsoft is working on a larger Windows 10 update for October that will add some new features, including the previously revealed Messaging app and support for Chrome-like extensions in the Microsoft Edge web browser. Members of the Windows Insider program will get first crack at checking out these new features sometime in the coming weeks. Microsoft is also planning to release updates that could improve battery life in Windows 10 laptops. Source: The Verge http://www.theverge.com/2015/7/30/9072271/microsoft-windows-10-updates "